By Toutatis! The indomitable Gauls are back with a new video game! More than 10 years following their last appearance on games consoles and PC, Asterix and Obelix are back and in better shape than ever! Asterix & Obelix XXL 2 is a superb blend of action and adventure for all ages, with a winning combination of comedy and brawling. But where has Getafix gone? The long-bearded druid has disappeared after betraying his own people for Julius Caesar! The Gaulish village is in uproar! They must find out the truth! Always ready for a fight, Asterix and Obelix are sent to Rome on a mission by their chief Vitalstatistix. There, they find a new amusement park - Las Vegum - built by the famous Roman emperor. To what end? What is Getafix hiding? 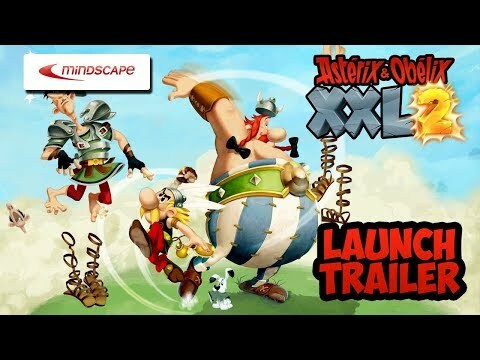 Asterix & Obelix XXL 2 was released on PC, PS4, Switch and Xbox One 146d ago in the US and the UK. Notify me when Asterix & Obelix XXL 2 is available.